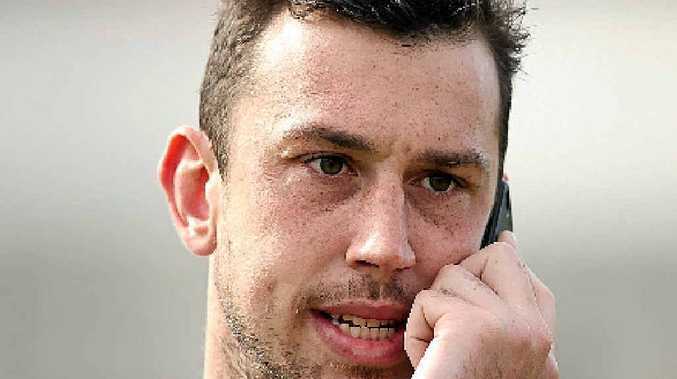 NORTH Melbourne ruckman Todd Goldstein will go head-to-head with his former mentor when the Roos travel to Geelong tonight. Goldstein (pictured), who yesterday announced he had extended his contract at North until the end of 2016, will battle the Cats' Hamish McIntosh in the ruck in a pivotal game at Simonds Stadium. McIntosh played 107 games at the Roos before crossing to Geelong in 2012, only to miss the entire 2013 season with a knee injury. "He's played a massive part in my career, especially early on," Goldstein said. "It was a bit weird coming up against him in the NAB Cup (practice match). Obviously that's got nothing compared to what this week's about.